These CNC routers needed a viable solution to remove and collect plastic chips and debris created during machine operation. 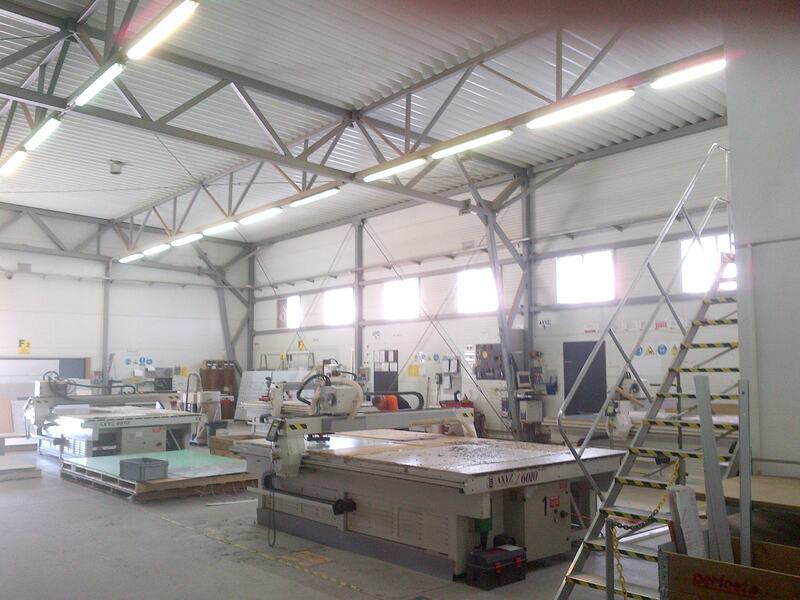 Our distributor in Poland recently emailed me about an application in need of a method to collect plastic chips from the CNC router tables shown above. These machines are used for precision cutting, but face a problem when the cutting edge of the machine comes into contact with the chips and debris created during normal use. The end user had considered a blow off device such as a nozzle or Air Knife, but this raised concerns with material collection. Ideally, the customer wanted to be able to capture the chips and debris for recycling. So, we looked into a method of removing the chips with a Line Vac, conveying the debris to a stationary drum for collection and recycling. This type of solution has proven to be effective many times in the past, as shown in the image below. 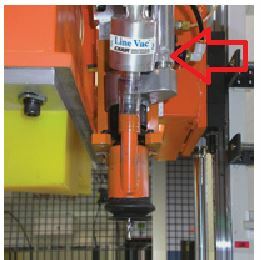 A Line Vac can be mounted at the cutting head to vacuum chips and debris as they are created by the cutting process. This Line Vac provides vacuum to a drill head to remove debris. Using the model 6081 Line Vac we can remove the plastic debris from the plotter as it is generated, and convey it to a drum located within the workspace. And, to facilitate collection of the plastics for recycling, we can use our model 6850 drum cover to separate the conveyed chips from the air used to move the materials. By providing a dynamic solution for this application, the Line Vac is able to lessen the workload of machine operators, allowing them more time to perform value added tasks rather than cleaning. 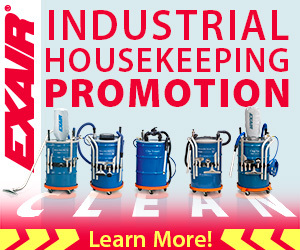 And, the solution is easy to install, requires little to no maintenance, and provides instantaneous vacuum only when needed. 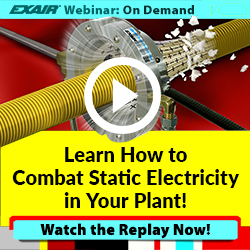 If you have a similar application or would like to discuss problems facing your facilities, contact an EXAIR Application Engineer. We’re available by phone, email, and online chat.